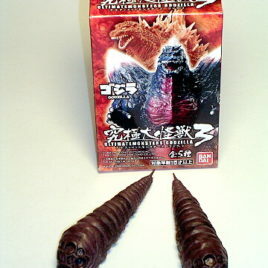 This is the Pair of MOTHRA LARVA from the ULTIMATE GODZILLA COLLECTION # 3 by Bandai Co. of Japan. The Larvas are truly impressive. 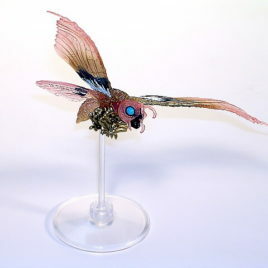 Each Mothra is about 5 1/4 inches long. One has red eyes has slight flexibility and an open mouth the other has blue eyes and a closed mouth. This set is the most detailed Hyper type set we have ever seen. The figures are made of HEAVY Solid vinyl. The coloration as well as the sculpts are IMPRESSIVE!! Each figure comes in bags. 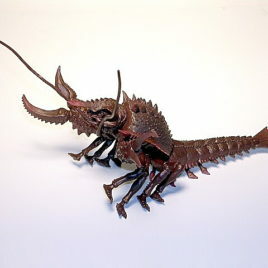 AMAZING SCULPTS and HARD TO FIND MONSTERS. SUCH A DEAL! CLAWMARK TOYS WARNING; NOT SUITABLE FOR VERY YOUNG CHILDREN (under 8 years of age) DUE TO VERY SMALL PARTS. 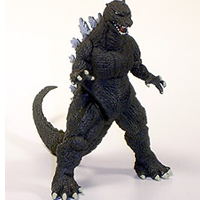 This is EBIRAH MONSTER FROM THE DEEP 2005 from the ULTIMATE GODZILLA COLLECTION by Bandai Co. of Japan. 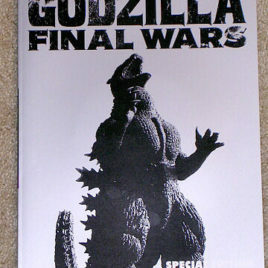 The MONSTER FROM THE DEEP (EBIRAH) was featured in the exciting Toho Movie "GODZILLA FINAL WARS"!! This is the most detailed Hyper type figure we have ever seen. The figures are made of HEAVY Solid vinyl. VERY HEAVY!! 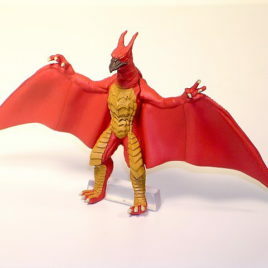 The coloration as well as the sculpts are IMPRESSIVE!! Comes in Original Box! These figures are NOT ARTICULATED! EBIRAH 2005 Is approx. 7 inches long. 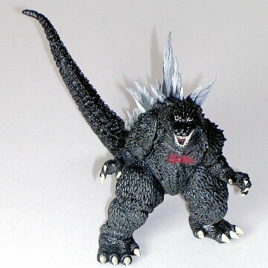 THIS IS A VERY, VERY HARD TO FIND GIANT MONSTER FIGURE!! Each figure comes in pieces sealed in bags. You have to snap each figure together. EBIRAH has MANY, MANY SMALL PARTS!! 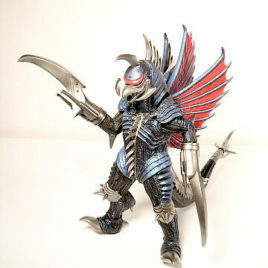 AMAZING SCULPTS and HARD TO FIND MONSTERS.. SUCH A DEAL! The thickness of the vinyl makes this figure heavy and more expensive to ship than the normal "Hollow" Hyper figures. THIS EBIRA DOES NOT COME WITH ITS ORIGINAL BOX. CLAWMARK TOYS WARNING; NOT SUITABLE FOR VERY YOUNG CHILDREN (under 8 years of age) DUE TO VERY SMALL PARTS. 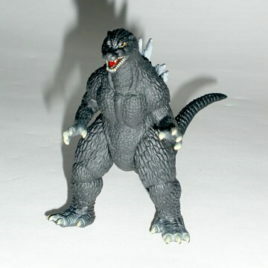 This is the HEDORAH (Smog Monster) 2005 from the ULTIMATE GODZILLA COLLECTION by Bandai Co. of Japan. 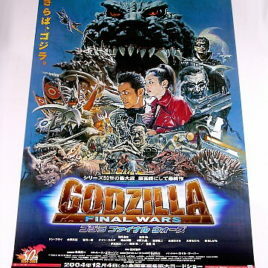 This SMOG MONSTER was featured in the exciting Toho Movie "GODZILLA FINAL WARS"!! This is the most detailed Hyper type figure we have ever seen. The figures are made of HEAVY Solid vinyl. VERY HEAVY!! The coloration as well as the sculpts are IMPRESSIVE!! These figures are NOT ARTICULATED! HEDORAH 2005 stands approx. 6 inches tall and is approx. 8 inchs long. 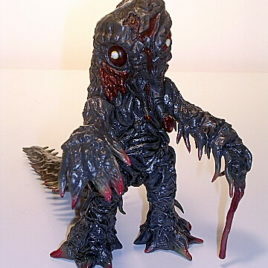 THIS IS A VERY UNUSUAL HEDORAH SCULPT!! Smoggy has a very long tail and is DRIPPING SLUDGE!! He even has "BREATHING TUBES on his neck! Each figure comes in pieces sealed in bags. You have to snap each figure together. 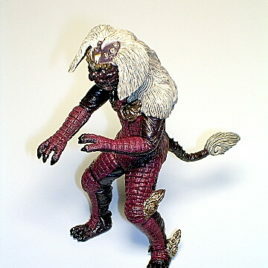 AMAZING SCULPTS and HARD TO FIND MONSTERS. SUCH A DEAL! CLAWMARK TOYS WARNING; NOT SUITABLE FOR VERY YOUNG CHILDREN (under 8 years of age) DUE TO VERY SMALL PARTS. STAND BY FOR GIANT MONSTER ACTION! 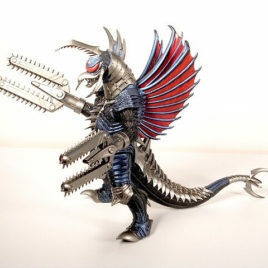 This Special POWERED UP GIGAN by Bandai 2005 is ready to ROCK with Super CHAINSAW ARMS!! 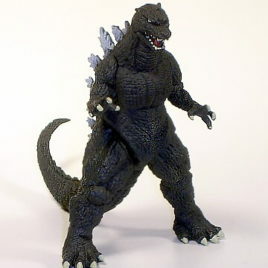 He was featured in the Toho Movie Godzilla Final Wars 2005. 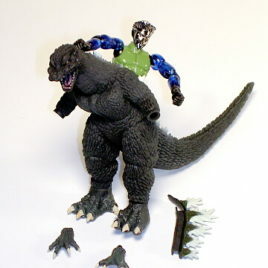 Articulated at the arms and legs, this figure stands approx. 8 1/2 inches tall. IMPRESSIVE. NOW VERY HARD TO FIND EVEN IN JAPAN!!! 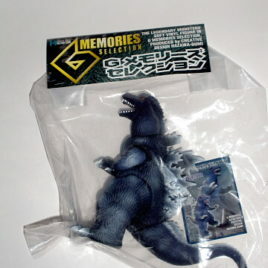 FIGURE COMES in MINT Condition WITH Mint to NEAR MINT TAG. Scroll down to see additional photos. 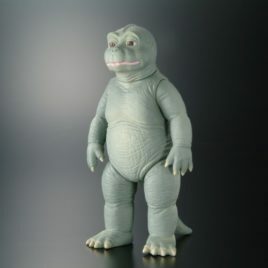 The hard to find KING CAESAR SEESAR 2005 from the ULTIMATE GODZILLA COLLECTION by Bandai Co. of Japan. 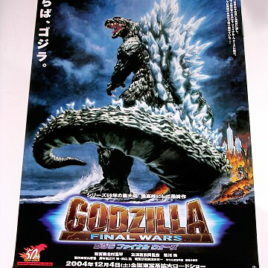 KING SEESAR was featured in the exciting Toho Movie "GODZILLA FINAL WARS"!! This is the most detailed Hyper type figure we have ever seen. 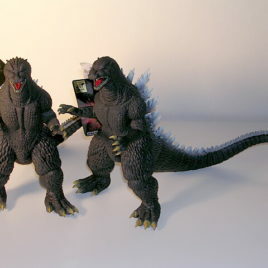 The figures are made of HEAVY Solid vinyl. VERY HEAVY!! The coloration as well as the sculpts are IMPRESSIVE!! These figures are NOT ARTICULATED. KING CAESAR SEESAR 2005 stands approx. 4 1/2 inches tall. 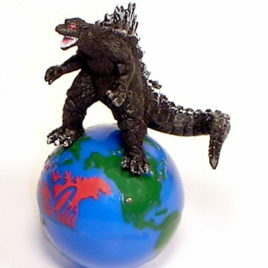 THIS IS A VERY, HARD GIANT MONSTER FIGURE TO FIND! Each figure comes in pieces in a bag. You have to snap each figure together. We LOVE KING CAESAR SEESAR and his FURRY EARS!! 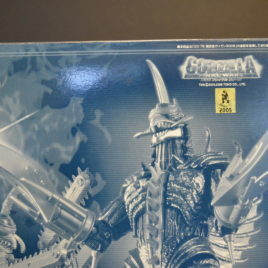 AMAZING SCULPTS and HARD TO FIND MONSTERS..SUCH A DEAL! CLAWMARK TOYS WARNING: NOT SUITABLE FOR VERY YOUNG CHILDREN (under 5 years of age) DUE TO VERY SMALL PARTS. 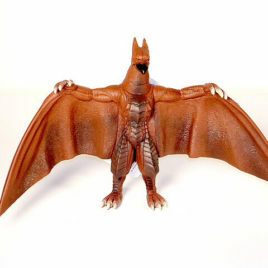 This is Godzilla Final Wars Rodan 2005 from High Grade set # 11. This colorful vinyl mini figure stands approximately 3 inches tall. 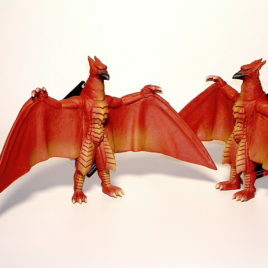 Rodan has a wing span of approx. 5 1/2 inches! The detail on these HG FIGURES JUST CONTINUE TO AMAZE US! CLAWMARK TOYS WARNING!! Small parts might be hazardous for very young fans under the age of 4. 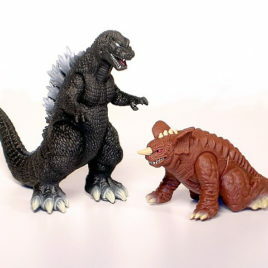 This is the Kamakirus and Kumanga (aka Spiga) 2005 pair from High Grade set # 11. THESE two are VERY RARE so they are priced accordingly. 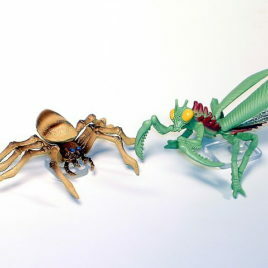 Giant Killer Insects!! These colorful vinyl mini figures are approximately 1 to 1 1/2 inches long. The detail on these HG FIGURES JUST CONTINUE TO AMAZE US! CLAWMARK TOYS WARNING!! Small parts might be hazardous for very young fans under the age of 4. 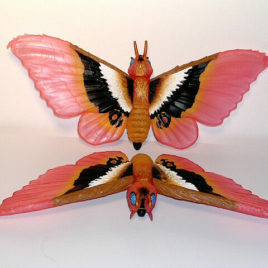 This is the awesome Fire Mothra 2004 from High Grade set # 11. This colorful translucent vinyl mini figure stands approximately 3 1/2 inches tall. 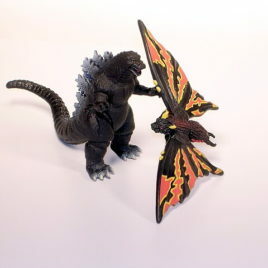 Fire Mothra 2004 has a wing span of approx. 5 1/2 inches! The detail on these HG FIGURES JUST CONTINUE TO AMAZE US! CLAWMARK TOYS WARNING!! Small parts might be hazardous for very young fans under the age of 4.